The greatest hits and best singles from 1947 - 1958! 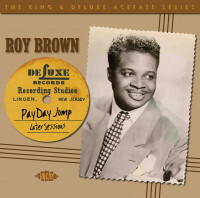 The 59 tracks of Roy Brown include each of his chart hits. Hits that made him one of the most influential R&B stars of the 1950s. But his influence on future generations of R&B and pop singers goes much deeper. His style had a direct impact on many artists, including Clyde McPhatter, Little Richard, Bobby Bland, B. B. King, Little Milton, Jackie Wilson, James Brown and Elvis Presley. 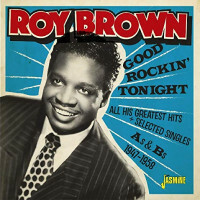 With his huge vocal roar and a band that could melt paint off the walls of any juke joint, Roy Brown anticipated the rise of rock and roll. In fact, he spread the news in 1947 with his epochal Good Rocking Tonight, which he wrote and cut in New Orleans for DeLuxe, though Wynonie Harris' cover was the bigger hit. B.B. King, Bobby Bland, and Jackie Wilson were all deeply influenced vocally by Roy, whose melismatic flights were direct precursors to soul. Odd, then, that Roy's early idol was Bing Crosby! Born September 10, 1925 in New Orleans, Brown was gigging in Galveston when Good Rocking Tonight came to him. He offered it to Harris, who haughtily turned it down. Pianist Cecil Gant was more impressed, contacting Jules Braun of DeLuxe Records in Linden, New Jersey in Brown's behalf. Braun came down to the Crescent City and supervised as Roy laid down his debut classic at Cosimo Matassa's fledgling J&M Studios. But Wynonie changed his mind and covered Good Rocking Tonight, ending up with an R&B chart-topper. That kicked off an incredible hitmaking streak for Brown on DeLuxe. 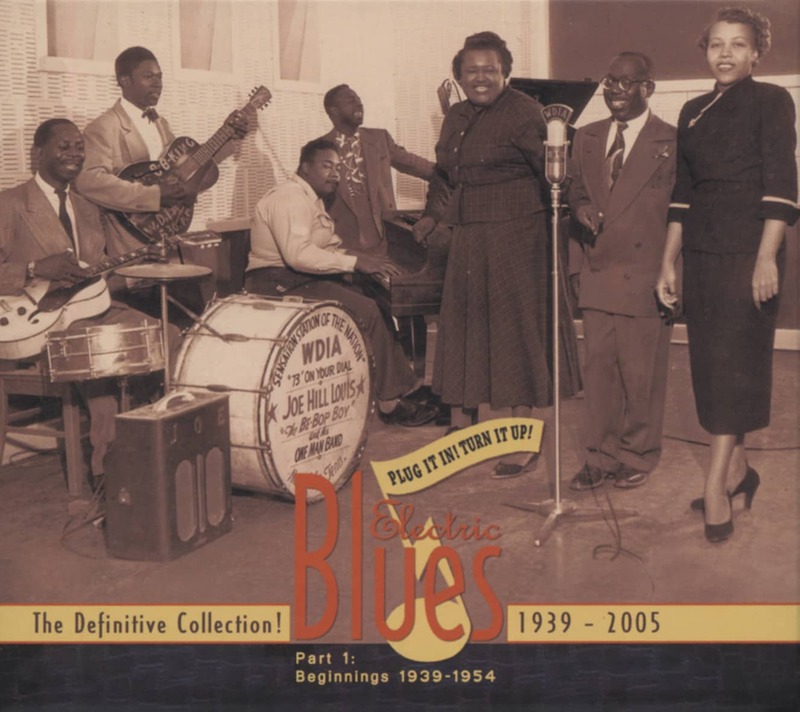 His 'Long About Midnight topped the R&B charts in late 1948; Boogie At Midnight nearly did the same in '49, and the harrowing Hard Luck Blues was his second number one hit in 1950. Love Don't Love Nobody made it to #2 R&B in late '50; backed by his own Mighty Mighty Men (trumpeter Wilbur Harden, saxists Johnny Fontennette and Leroy 'Batman' Rankin, pianist Edward Santineo, bassist Ike Isaacs, drummer Calvin Shields, and New Orleans guitarist Edgar Blanchard, a very inventive presence), it's a typically exciting tour de force for its writer. Brown transferred over to King Records in 1952 and the hits mysteriously ceased, despite the singer releasing some of his most thrilling rockers over the next three years. The singer signed with Imperial in '56, trying to cope with the onslaught of the music he'd boldly predicted nearly a decade earlier. Roy enjoyed a 1957 hit with producer Dave Bartholomew's Let The Four Winds Blow, but the handwriting was on the wall. He occasionally recorded throughout the '60s and mounted something of a comeback over the next decade before a heart attack ended this mighty, mighty man's bid on May 25, 1981 in his adopted hometown of Los Angeles. Customer evaluation for "Good Rockin' Tonight (2-CD)"